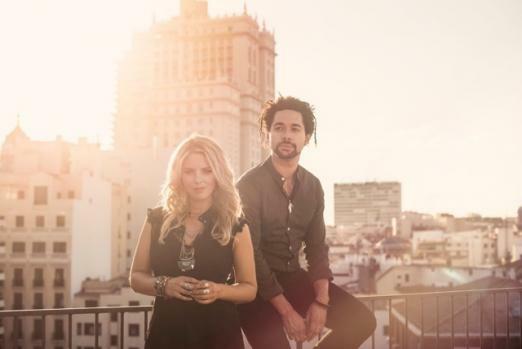 It’s easy to see why The Shires are the most successful country band in the UK. Their first album, ‘Brave’, showed us what the duo could do with acoustic guitars, vocal harmonies, individual supple vocals, notably Chrissie’s, and the subtle movement between country, rock and pop in their writing. Their new album, ‘My Universe’ (released 7th October), showcases all of the above and more. The transition of generations country music has taken can all be heard within the album, right up to present day, with nuances of Taylor Swift in ‘Not Even Drunk Right Now’. Musically and lyrically, this album begins upbeat. The story of love: falling in love, being in love can be heard. The title track, ‘My Universe’ sums up the love and trust of a honeymoon phase of a relationship and their vocal harmonies intensify the story behind the lyrics. There are lively songs that celebrate the love of partnerships, including ‘Beats to Your Rhythm’ and ‘A Thousand Hallelujahs’, the latter featuring a funky banjo sound throughout. Both songs have brilliantly catchy choruses and there is a definite need to tap your foot or perhaps get up and dance and celebrate the love they sing of. There are of course more sensual songs. ‘Naked’, a real country soft rock ballad, lyrically tells of trust within relationships, but it is again their harmonies that showcase the real story being told. Their voices, metaphorically show the delicacy of trust in relationships. It is this that allows us to feel what they are going through. Chrissie’s vocal performance is brilliant. She has the ability to create the sounds of love, affection, pain, fear and anguish when she sings. ‘Daddy’s Little Girl’ is a perfect example of this. Musically it begins somehow, with a nostalgic sound. Lyrically we are taken to the 1970’s and 1980’s with the branding of Old Spice and this time period is magnified by Chrissie’s voice channelling Dolly Parton. The latter part of the album moves us into a darker, less stable or happy place. However, it throws in upbeat songs lulling you into a false sense of security. If you have recently split up with someone, I would avoid the penultimate song, ‘Other People’s Things’! The sense of loss and emptiness is created by a slow tinkling of a piano, with emotions heightened through the passion of drums. Chrissie’s voice only emphasises the loss and emptiness and when Ben harmonises with her he creates a haunting sound, something lost forever. They end the album with ‘Desperate’. In both cases, their voices are beautifully emotive. This album is one of emotional ups and downs. Musically, lyrically and vocally there is little else you could ask for in a country album.